Jay B. Starkey Wilderness Park is one of three tracts comprising the 18,000-acre Starkey Wilderness Preserve, which protects the Anclote and Pithlachascotee Rivers and the region’s water supply. 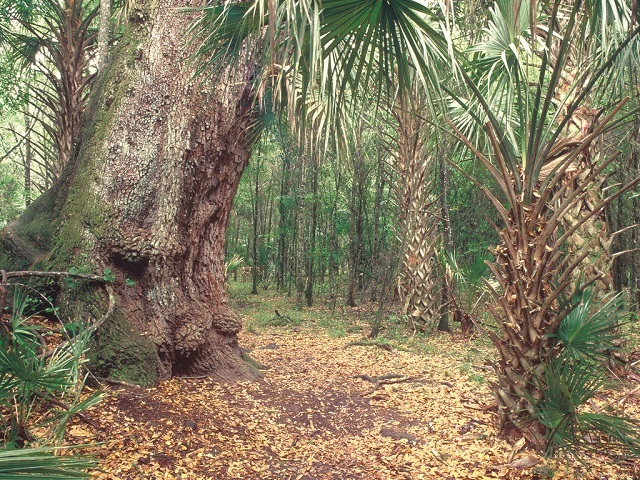 The preserve consists of freshwater swamps and marshes, scrub, sandhills, pine flatwoods and hardwood hammocks. Start at the nature center on the west side of the park to get yourself oriented, and then take the boardwalk behind the center across the floodplain forest to the Pithlachascotee River. The best birding by far is along the 7 mile paved bike trail, which connects to the paved 42-mile Suncoast Trail on the east side of the park. A bike helps cover more ground; listen for Brown-headed Nuthatch and Bachman’s Sparrow as you pedal through the flatwoods. Watch for Wood Duck, Wood Stork, Anhinga and Little Blue Heron in the wetlands; American Woodcock (winter) is possible as well. Other species to look and listen for include Eastern Screech-Owl, Yellow-bellied Sapsucker (winter), Hairy Woodpecker, Yellow-throated Vireo (summer) and Yellow-throated Warbler. Winter sparrow diversity can be very good; Savannah, Grasshopper and Swamp, Le Conte’s, Henslow’s, Lincoln’s, Vesper and White-throated have all been spotted in the park. Butterfly viewers can look for Fiery Skipper, Horace’s Duskywing, Baracoa Skipper, Arogos Skipper (rare), Sleepy Duskywings and Southern Hairstreak. Bird walks are offered on the first Saturday each month; call ahead for details. Loaner optics are available at the nature center if you need them. Cabins and camping options are available for extended stays.